At the start of the BBC’s new documentary about Paula Rego (b. 1935), a suited man stands in the middle of the artist’s Camden studio, surrounded by life size dummies – wizened mermaids with wings, shrunken faces and shrivelled breasts, and mannequins of pregnant men. He looks out of place until he bends down and splays himself on a sofa, legs apart, and holds the pose. He is modelling for one of Rego’s canvases. This uncomfortable physical pose recurs throughout Rego’s oeuvre. It can represent a mixture of resilience and exhaustion, as in her Abortion series (1998–99). Or it can demonstrate almost unbearable defiance, as in her famous Dog Woman of 1994, in which the subject doubles over and howls with grief. This documentary, directed by the artist’s son Nick Willing, crucially achieves a similar sort of unsettling intimacy: invasive, but somehow understanding and warm, too. After Rego’s 80th birthday, she began to tell her son stories about her life and work that he hadn’t heard before. Before then, we are told, she had kept her artistic life and her children in separate mental spaces. 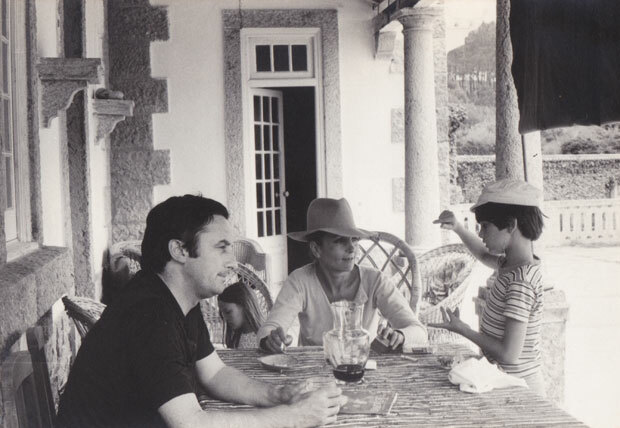 Her daughters Cassie and Victoria – who Willing interviews along with talking heads such as Marina Warner and former president of Portugal Jorge Sampaio – describe a similar feeling, that the artist side of their mother was ‘not quite reachable’. The candour with which Rego now discusses her experiences is, therefore, seriously compelling. She grew up in Estoril, Portugal, under the dictatorial rule of António de Oliveira Salazar. Her father was a liberal engineer and her mother was a good painter. Rego herself wanted to be an artist from childhood, and the works she made before she was 10 demonstrate not just precocious skill but precocious human understanding of the figures she was depicting. Her mother didn’t directly encourage it, besides asking her to do some murals to decorate her knitting sales. Rego lived in a culture where middle and upper class women were encouraged to do as little as possible, and admired in reverse proportion to what they achieved for themselves. But she could escape this by drawing and painting what was in her imagination. When she was 16, her father realised Salazar’s Portugal was no place for a woman with artistic sensibilities, and sent her to finishing school in Kent, then to study at the Slade. There she fell for the married Victor Willing (1928–88), star of the art school and friend of Francis Bacon, by whom she shortly became pregnant. An account of her losing her virginity is punctuated by sped-up slideshows of her works accompanied by dissonant music and pictures of dirty sinks. She did not keep the baby. 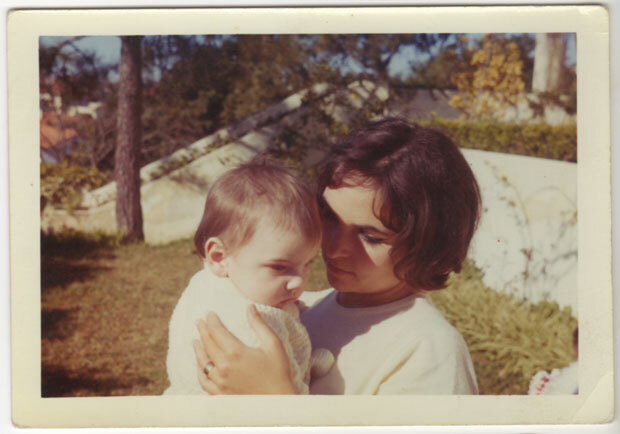 When Rego later decided to go through with a pregnancy, she went back to Portugal. There, motherhood awakened an effulgent phase in her work, inspired by a feeling of ‘sexuality and pain all joined up together’. Willing eventually left his wife and joined her (they married in 1959), then fell into a ‘long daydream’ during which he felt no drive to work or further his career. Meanwhile Rego overtook him in productivity, and he started writing about her work, even when the work was a reflection of his infidelities. He eventually took over his father-in-law’s electrical engineering business and drove it into the ground, causing the family to move back to London. We learn first-hand of the way Rego’s life found its way onto her canvases. A spiteful teacher from her childhood is still brought in whenever she needs a figure to be particularly hateful. A rival for her husband’s affection is crammed into the corner of her excellent 1965 painting about Franco’s Spain, Dogs of Barcelona, as an abstract, grotesque monster. Elsewhere, lovers who had let her down can be seen hanged by the neck. Paula Rego is widely regarded as one of the world’s greatest living figurative artists. She seems matter-of-fact in her studio among her works and various macabre objects as she discusses, in a stately but stilted RP accent, her Jungian psychoanalysis and lifelong experience of depression. There is something poignant, but also difficult, about the way this is all told to her son. It is another example of the testing of boundaries that her work itself evinces. When she describes how her husband succumbed to multiple sclerosis in 1988 – concluding by reading out his farewell note to her, and explaining how her grief inspired her beautifully unbeautiful Dog Woman – it affects the viewer almost as much as it does the documentary maker. Paula Rego: Secrets and Stories, is available to watch on BBC iPlayer. An exhibition of Rego’s work, ‘Paula Rego: Depression Series’, is at Marlborough Fine Art, London, until 1 April.